You don't want to miss this... Share with your congregation! Christ calls us to take risks in order to engage our communities and our neighbors with the good news. We will explore what it means to take healthy risks as ministry leaders and how we equip others to join us in order that we might become more fully the church we are being called to be. Do you hunger to grow in your discipleship to Christ? A Gracious Accountability Group is a small group experience designed develop deeper discipleship. It is a way to invest in each other's lives by asking "how is it with your life with God? ", and to hold each other graciously accountable to a group covenant. “Small” membership churches continue to be the backbone of our denomination. Rather than focus on the word “small”, let’s focus on the word “vital”. In this session, we will recognize the unique challenges and opportunities we face as leaders of small membership churches and discuss what it takes to become and remain a vital church in mission and ministry to the world. Do you ever ask the questions, What is a Healthy Vibrant Church? What is Discipleship? 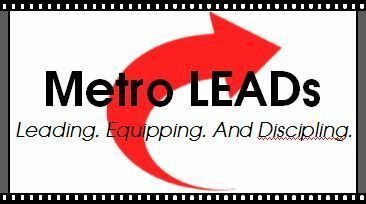 Are we a Disciple making Church? What is Evangelism? What is Social Justice? Join me for conversation and an exploration of best practices on what it really means to be a Healthy Vibrant Church? People want to serve but do not want to attend just another church meeting. This class will focus on how to have an effective and efficient meeting for ministry and mission. We’ll explore the central and critical role P/SPR committees play in supporting and aligning church leadership with the Church’s mission to make disciples of Jesus Christ for the transformation of our communities. We have all heard about Safe Sanctuaries. Hopefully, your church has a basic policy. In our hour together, we will focus on emerging issues and appropriate Safe Sanctuaries responses. Specifically, we will discuss the liabilities and safeguards involved with social media, the internet, and cell phones. Of course, all Safe Sanctuaries questions are welcome! We will examine the ten most important issues that local church finance and stewardship leaders should consider. Content will be drawn from the Book of Discipline and the practical, logistical and relevant concerns related to finances and stewardship. Topics will include Audits, Annual Reporting, Apportionments, Financial Policies and Giving. What does youth ministry look like in your setting? How does your church define “youth ministry”? And, what does youth ministry look like in 2019?